As part of our Science focus, the children have been learning about living and non-living things. 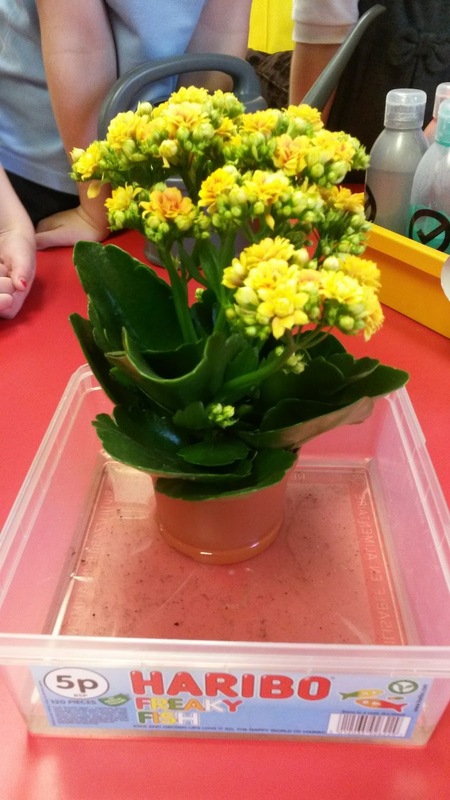 The boys and girls are aware of the factors involved in keeping a plant alive e.g. water, light etc. The children have been taking turns to water our plant and chose to keep the plant on our window sill to allow access to light. We thought you might like to be kept updated with our class plant's progress between now and the end of term. The children will post a photograph on our blog each week. They are all keeping their fingers crossed that we see lots of beautiful flowers very soon.